Does it seem like everyone and their grandma is using an iPhone these days? Have you been wondering whether you should even bother developing Android apps? If you’ve been considering giving up on Android app development, think again. Android is actually the top smartphone platform, with Android phones being used by nearly 57 percent of all smartphone subscribers. Clearly, there’s a market for Android apps. If you’re still on the fence, though, keep reading. Listed below are some of the greatest benefits that come with developing apps for Android phones and devices. The great thing about developing Android apps is that you don’t need a lot of money to get started. In fact, Android’s Software Development Kit (or SDK) is totally free for developers. This lowers the cost of development dramatically, making Android apps a great option for new developers without much capital. There is a registration fee required for application distribution. But, developers can leverage any device to build their product and test it. Thanks to the low barrier to entry, it’s a lot easier for developers to see a return on their investment when they start to distribute their app. Android app development is also a great option thanks to the technology framework the Android community offers. Not only is Android’s Software Development Kit free, but it also is open-source. This means developers can interact with and collaborate with other developers while working on their own app. The SDK eliminates the need to worry about licensing costs, royalties, and other issues that can slow down the development process. This open platform leads to a faster app and device development and more opportunities for developers to earn money. 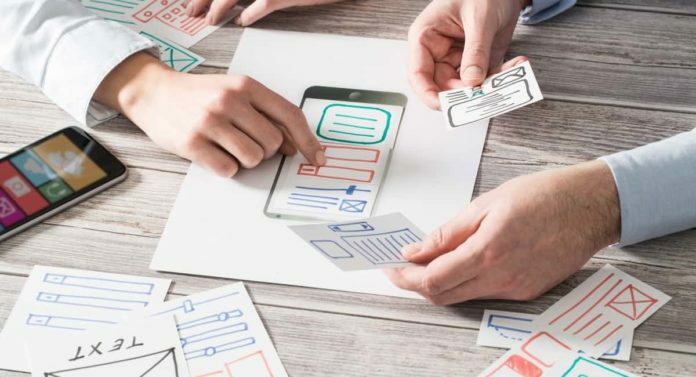 No matter what kind of app you’re looking to create, Android app development allows you to customize more aspects of your app and ensure it works exactly as you want it to. The Android platform allows you to make all kinds of tweaks and adjustments to meet your specific business needs. Need to improve your user interface? Android makes it easy for you to make those changes. Thanks to the open-source nature of the SDK, there are tons of customization options available at every developer’s fingertips. If you’re developing iPhone apps, you only have one option for deployment. With Android, though, you have several different deployment options. There’s no need to put all your eggs in the basket of a single market. With Android apps, you can use a variety of third-party marketplaces. You can also put together your own sales and distribution channel. The choice is yours. There are also many more options for promoting your Android app and ensuring it gets in front of the people whom you want to see it. The process of developing an Android app is also simpler than developing other types of apps. All android apps are scripted in Java. As long as you under Java, you can build a good Android app. Many programmers find that adopting and scripting code for apps is much easier in the Android OS compared to the iPhone OS. Even if you’re comfortable working on iOS apps, it’s still beneficial to get comfortable with Android apps, too. It never hurts to be more versatile, right? Remember, Android phones are the most popular smartphones on the market. By developing Android apps, you can appeal to a wider audience and increase your income. Google is doing a great job right now when it comes to app development, and they don’t seem to be slowing down any time soon. Google’s market is massive, and billions of apps get features on the Google Play Store every day — why not make your app one of them? Don’t limit your thinking to just smartphone apps. If you focus on Android app development, you’ll also have opportunities to expand into the wearable technology market. The market for wearables is expected to grow exponentially in the coming years, and Android is making great contributions to the development of these new devices. With this expansion will come the need for new and innovative apps — now is the time to get in on this growing market! This might come as a surprise at first, especially when you consider the fact that Android devices tend to be targeted by malware on a more frequent basis. But, Android devices are still secure, and, based on the popularity of the devices, users don’t seem to be too worried about potential data security issues. There are lots of steps you can take to keep your app secure, too, and they’re all available to developers for free thanks to the SDK. If you do your research, you should be able to rest easy knowing that users’ data is safe while they use your app. This last bonus also helps you to see a return on your investment sooner. Android app development tools allow for faster app development and easier integration. This, in turn, leads to a reduced time to market, which can give you an edge over your competition and help you start seeing returns more quickly. If you want to get your app on the market as soon as possible, Android app development is definitely the way to go. As you can see, there are a lot of reasons you might want to start developing apps for Android devices. It might seem like everyone is using Apple products, but there are definitely folks out there who will appreciate having more Android apps available to them. Do you need help getting started with Android app development? Do you want to learn more about what Android users are loving and what other developers are creating? If so, check out the Android section of our site today. There are tons of great articles available here on the latest and greatest Android apps.